Complete set with tank cover, front fender, upper and lower fairing, racing tail upper and lower. 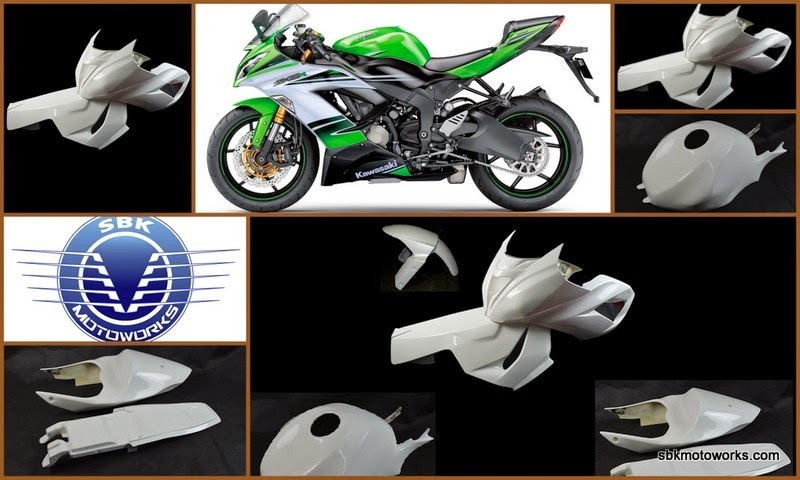 We are now offering race fairing for ZX6R 2013-2015. We deliver worldwide. Call us today or email us at info@sbkmotoworks.com for more details.